T he 59th Game Fair heads to Hatfield House in Hertfordshire between 28 and 30 July later this year. With a wide itinerary of events that includes country pursuits, a focus on land and gardens, activities (including archery, 4×4 driving, helicopter flights, debating theatre and much more), it should prove to be a great summer weekend for families and those with a passion for hunting, the countryside and outdoor pursuits. Major gun and accessory brands will be in attendance including Croots, Elderkin & Son, Holland & Holland, Hull Cartridge, Sporting Shooter magazine, Airgun World magazine, Nitesite, and Weihrauch, as well as many others. The event is sponsored by Subaru, who will be holding all wheel driving demonstrations during the weekend. Visitors will be able to jump aboard a Subaru Forester, Outback or XV, and experience the show’s specially designed off road course, which includes various obstacles and inclines. Fieldsports Magazine will be launching the George Digweed Pigeon Challenge, where members of the public will be given the opportunity to beat shooting scores set by two of the best shots out there, on a grouse and pheasant range designed especially for the occasion. Top Gun will take away a special array of prizes, and to enter you simply have to head to their stand. For animal lovers, there will be various other outdoor pursuits on display including falconry, gundogs, horse and hounds, pugs and fishing. The event includes camping facilities and you can even enjoy premium eating and drinking facilities by upgrading to a Gold or Platinum package. 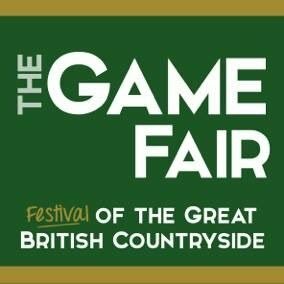 You can buy tickets for The Game Fair here. Learn more about the event by heading to their official site.